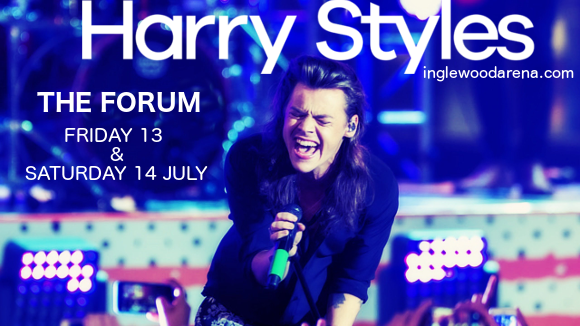 Get ready for a dream come true, Harry Styles fans!! The One Direction star is on tour with his debut solo album in 2018!! With support from the incredible country artist Kasey Musgraves, he’s coming to to give you an unbelievable live performance at The Forum on Friday 13th July 2018 – opportunities like this don’t come around every day!! Book your tickets NOW before they disappear!! Showing songwriting promise from the tender age of eight, performing the song "Notice Me,” at her elementary school graduation, Kasey Musgraves is a songwriter with music in her blood. In 2012, she toured with Lady Antebellum, and in 2013, released her debut album “Same Trailer Different Park”. The album was a huge critical and commercial success, going on to win her a prestigious Grammy Award for Best Country Album. Since then, Kasey Musgraves has gone on to one success after another as one of the rising stars of country!! British pop star Harry Styles needs no introduction. Taking the world by storm with his sudden departure from boy band One Direction, showing a drastically new sound learning more towards rock ’n roll, Harry Styles has spread his wings and launched his solo career. His debut self-titled album, diverse in terms of genre, paying homage to many of the artists who inspired him, topped the charts around the world – delighting old fans as well as earning him many new ones!! Get ready to experience all this live! Two amazing artists, one fantastic show!! Have you got those tickets yet?? ?